Let Field Trip Season Begin! 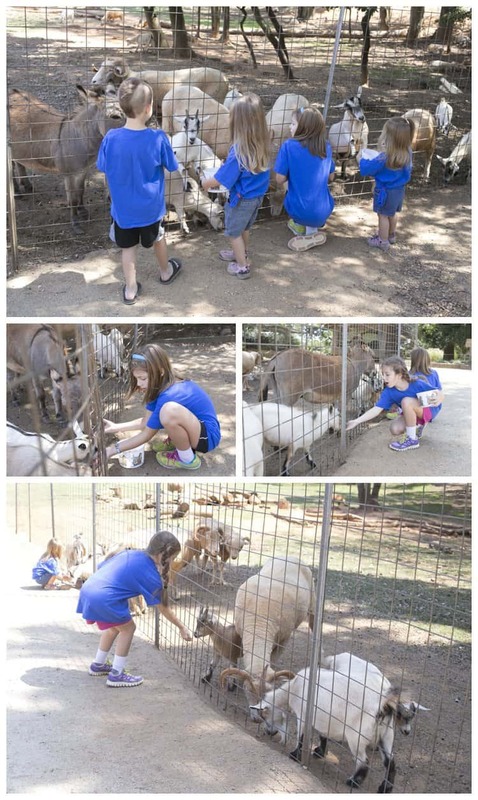 Our field trip season began with a bang at Lazy 5 Ranch. 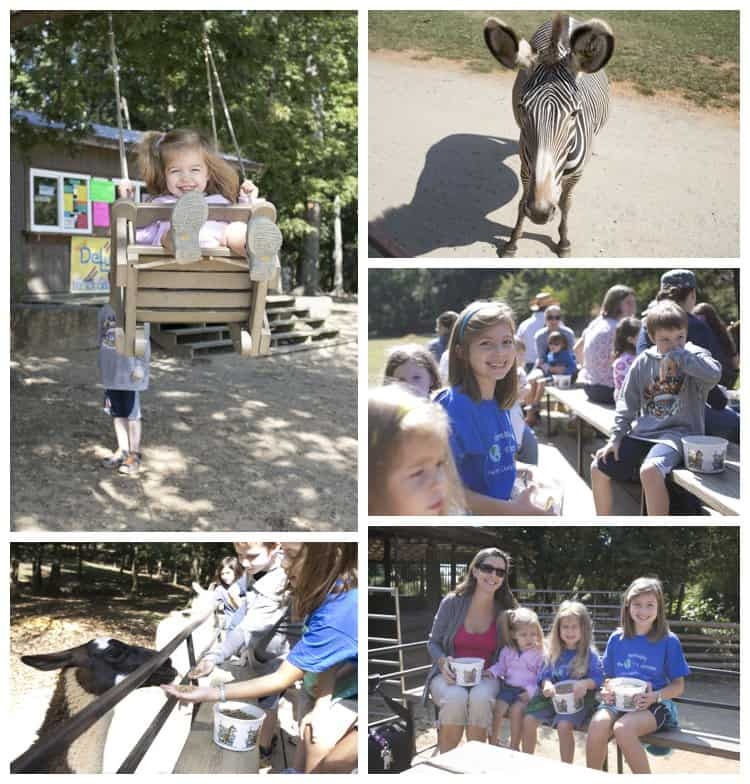 Our group doubled in size for this year’s trip- I think our total number was around 50 parents and children. We definitely don’t have any difficulty with socialization with a multitude of homeschoolers and homeschool friendly opportunities in our area. 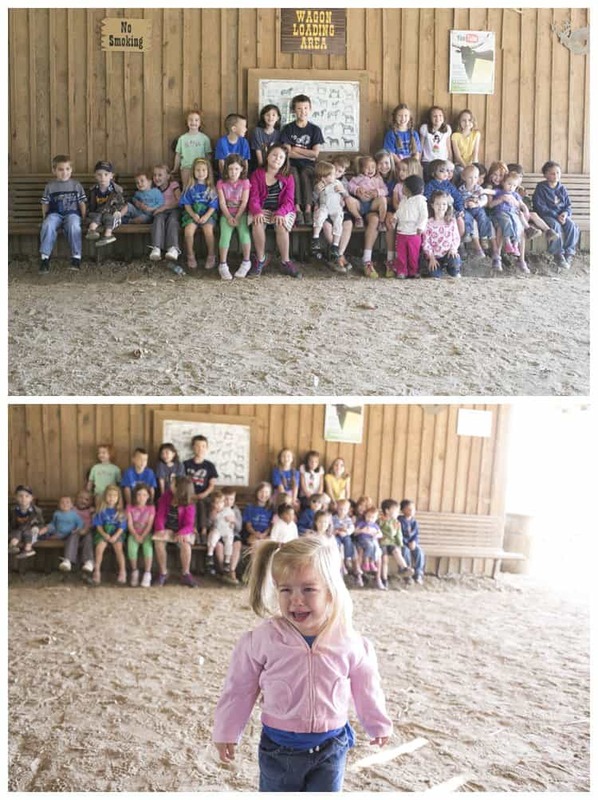 Emily was not thrilled with the idea of a group photo! Last year we didn’t even fill one horse-drawn wagon for our group, this year we took two wagons! Rebekah was more excited about the horses pulling the wagon than observing and feeding the animals in the park, so she sat at the front of the wagon near the horses and her friends. Peyton was pretty nervous about the large animals and stayed as close to me as possible. 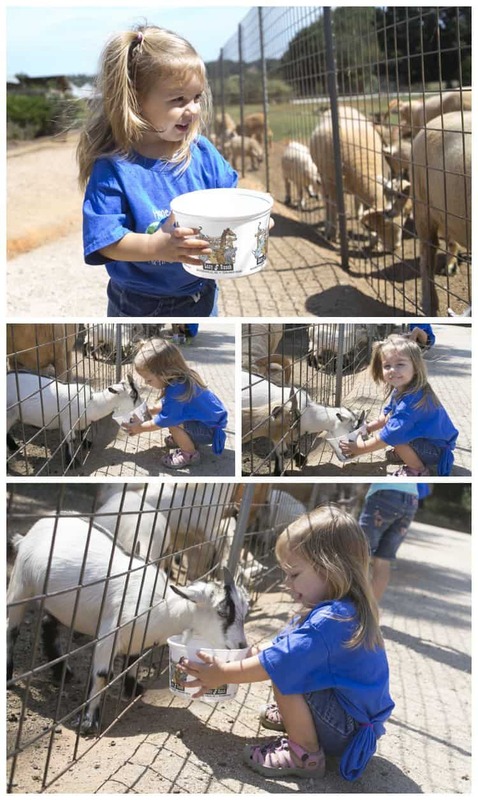 She wanted to feed the animals, but wasn’t willing to hold her hand full of food out over the edge. Before long she resorted to throwing the food out to the ground for the animals. Michael, my creature-lover, moved all over the wagon to feed each type of animal and ran out of food several times. Emily surprised me with her fearlessness. 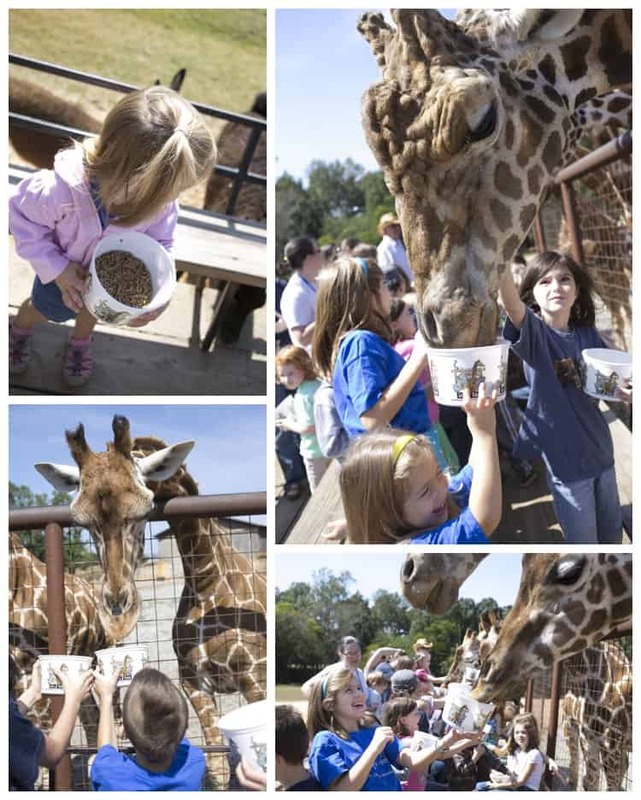 She didn’t understand the concept of opening her palm to feed the animals and kept trying to feed them with a balled up fist, holding tightly to the food. I know she got nipped by teeth multiple times but she never fussed or became afraid of feeding the animals. She called all the animals ‘sheep’ shouting, “Come here, Sheep!” She also loved yelling, “All aboard!” each time the wagon started to move. 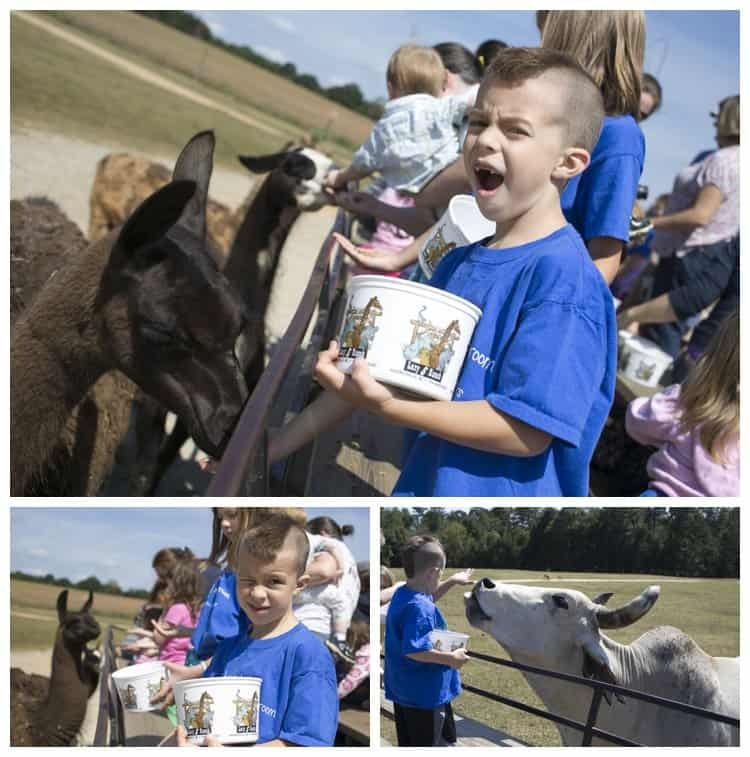 After the wagon ride was the petting zoo. This is a favorite of my girls, who love to feed only the tiniest of animals. I love listening as they fuss at the large animals for pushing and shoving the ‘babies’ out of the way. The kids go to great lengths to ensure the babies get enough food. Our day ended with a long stretch of playground time for the kids while the Mommas sat on picnic tables to chat. By that point, we Mommas were exhausted, and the kids enjoyed getting away with all kinds of rambunctious playing. Pirates with stick swords took over the playground ships and captured the girls while the toddlers washed each other’s hair with dirt. It really was a lovely day!